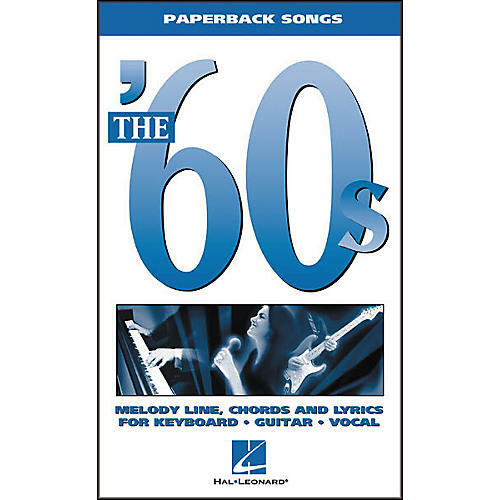 Hal Leonard's 60s songbook from the Paperback songs series features 98 classic hits from the '60s: Alfie, All You Need Is Love, Baby Love, Big Girls Don't Cry, California Girls, Cherish, Crazy, Daydream Believer, I Heard It Through the Grapevine, It's My Party, Leaving on a Jet Plane, Moon River, My Girl, Respect, Spinning Wheel, So Nice (Summer Samba), Turn! Turn! Turn!, and more.